Shane Bishop is the producer of this Monday's all-new episode with Keith Morrison, Prairie Confidential. He works out of his house in Oregon, so we caught up with him at his temporary desk in New York to get the inside scoop on the episode. Dateline: I know you’re producing this Monday’s Dateline. We have a few questions. How did you come across this case? How long have you been working on this report? 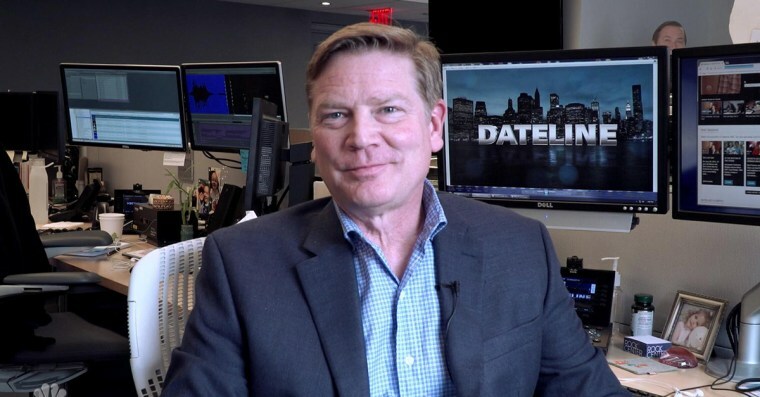 Shane Bishop, Dateline producer: I was assigned to look into this case after Angila’s murder in November 2015, but I didn’t start talking to people, doing some investigative work, and booking guests until spring of 2017. We did all the interviews for this report in June 2018. Shane: Angila Wilder’s fiancée came home from work early on the morning of Friday the 13th of November, 2015, and made a call to 911, claiming that the back door to their home appeared to have been kicked in. He was hesitant to go inside, even though his fiancée and their 2 year old son were inside. When police officers arrived minutes later, they found the child unharmed. Angila, however, was dead. She’d been stabbed more than 3 dozen times. Shane: Minot itself is an unusual location. It’s on the Great Plains about an hour from the Canadian border, and home to a huge U.S. Air Force Base. We found wonderful, friendly people who were helpful to us in every way. Shane: This story contains perhaps the biggest Dateline twist that I’ve ever encountered in a report I produced. That’s all I can say.